Enter the Ford Motor Company What's Your Focus? 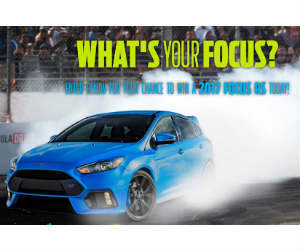 Sweepstakes for a chance to Win a 2017 Ford Focus RS. Enter by 10/9/16 at 11:59 AM ET.